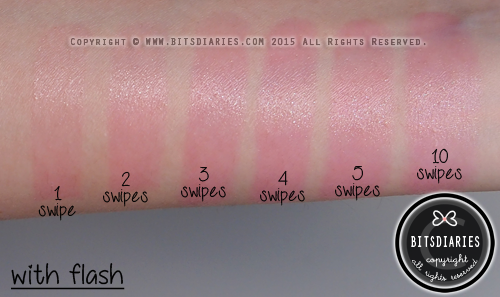 Alright, let's start with the review of the shade Baby Pink. 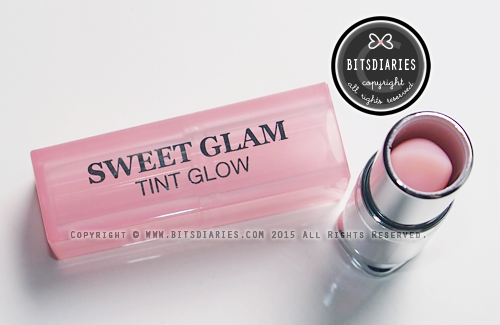 Secret Key Secret Kiss Sweet Glam Tint Glow is a 2-in-1 Balm + Tint lipstick that contains lanolin oil, which offers a powerful moisture effect to the lips, keeping the lips moisturized all day without any dryness. It glides on smoothly, giving the lips a natural and delicate coloring and also, creates a protection veil to lips to keep lips smooth with luster. 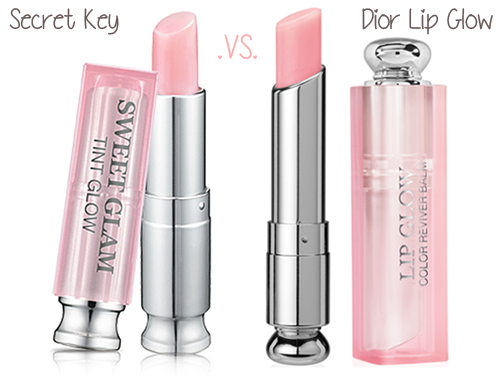 The packaging of Secret Key Secret Kiss Sweet Glam Tint Glow is similar to Dior Addict Lip Glow. 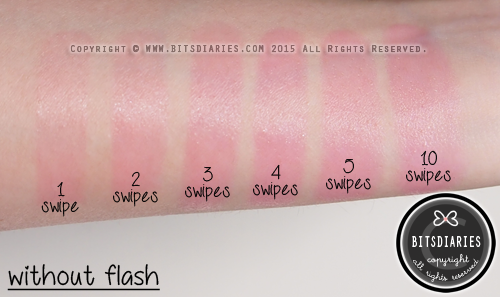 As mentioned in the review of Chic Burgundy, I have said that Baby Pink is more like a dupe to Dior Addict Lip Glow; however, I do not own a Dior Addict Lip Glow so I can't really compare... But I did some research, I find not only the packaging looks very much identical, the shade looks alike as well. I will touch on that later. 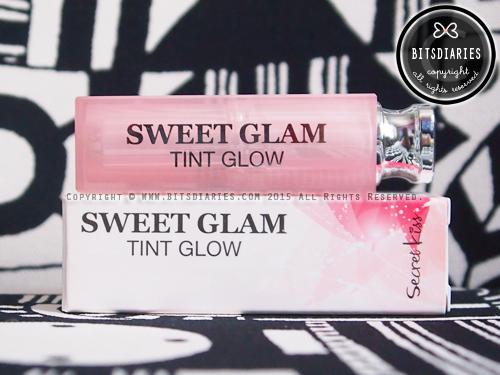 Sweet Glam Tint Glow Baby Pink does not have any artificial scent or taste. Like Chic Burgundy, Baby Pink also has a balmy texture that glides on smoothly. The shade Baby Pink is very sheer yet buildable and it reacts with the chemistry of your lips to create a customized pink shade. On my lips, it changes to a bright pink tint but it still remains natural-looking. Not to mention, it is very moisturizing like a balm and it gives the lips a lustrous tint, without sinking into the lines on the lips or leaving the lips feeling sticky. Speaking of tint, it may fade after eating or drinking but it won't be gone totally. There will still be a hint of color left on the lips which can only be removed with a makeup remover. 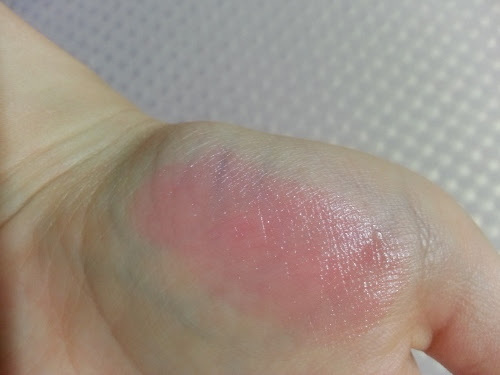 Hence, I concluded that the color has an excellent long-lasting staying power. There is nothing I dislike about! Overall, in my view, Sweet Glam Tint Glow in the shade of Baby Pink looks extremely natural when applied sheer and when layered. It is a pink lippie that is wearable for everyday whether for school or work.